Bijou in a Kirk Bosi poker, ice water to drink. Not far from finishing his bowl of MacBaren Golden Extra in a 2002 smooth Rinaldo Silver Line 3 EGER 05 paneled horn with a black acrylic stem. Part way through this bowl of D&R A.B. Rimboche in a 1938 straight black grain relief Dunhill OX Shell bulldog with a silver band repair and a black vulcanite saddle stem. Watching the Yankees-Astros game. Now smoking D&R Vengeur Silver in a 2002 black short shank grain relief straight Caminetto 6.L.17 tomato with a black acrylic stem. This will get me to dinner time. Relaxing after a wonderful chicken casserole dinner and a slice of cinnamon swirl crusted apple pie for dessert. 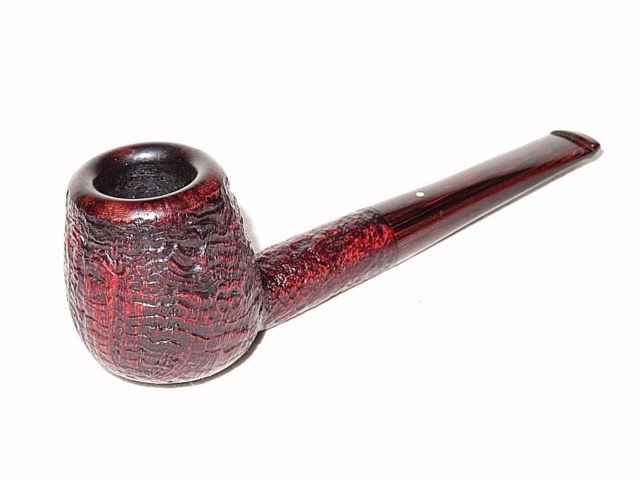 Now smoking Seattle Pipe Club Yakima Valley in a quarter bend smooth dark brown small bowl 2016 Brigham Algonquin 226 Rhodesian with a long black vulcanite tapered stem. Going to work in a little while. Now smoking Seattle Pipe Club Columbia River in a medium bend egg 2017 Royal Meerschaum Dragon meer with a black and cream swirl amber colored acrylic tapered stem. Now smoking 2013 Capstan Blue in a 2014 Savinelli Gaius smooth brown slight bend black acrylic stem and ferrule 320KS author. Working and listening to the MLB talk on the XM. Now smoking C&D Happy Hour in a smooth medium bend straight grain 2000 Winslow C silver spigot wide top Dublin with a canted plateau and black acrylic stem. Just finished smoking 1999 Edgeworth Ready Rubbed in a medium bend 2002 MM Legend cob with a yellow stem. Doing some reading.